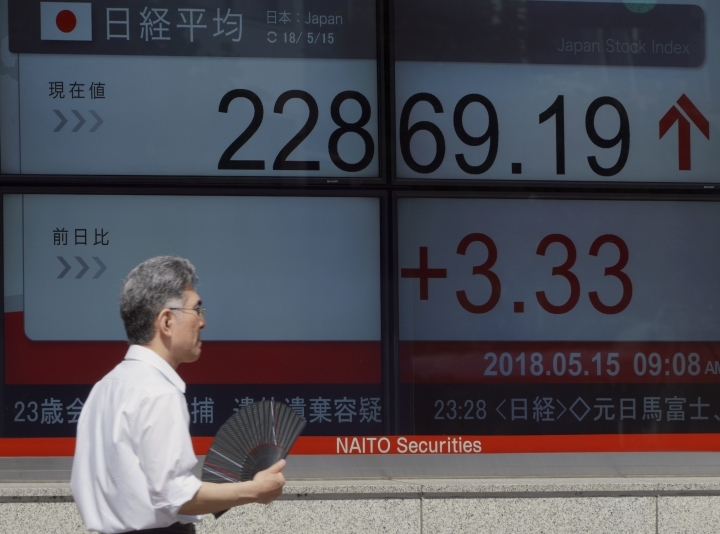 TOKYO — Global shares were mixed Tuesday amid continuing uncertainty over trade tensions between China and the U.S. Investors were watching for U.S. retail sales data, due later in the day, for further clues on the health of the world's biggest economy. KEEPING SCORE: France's CAC 40 inched up 0.2 percent to 5,548, while Britain's FTSE 100 rose by the same rate to 7,726. Germany's DAX gained only 0.1 percent to 12,991 after new data showed the country's economy slowed in the first quarter. 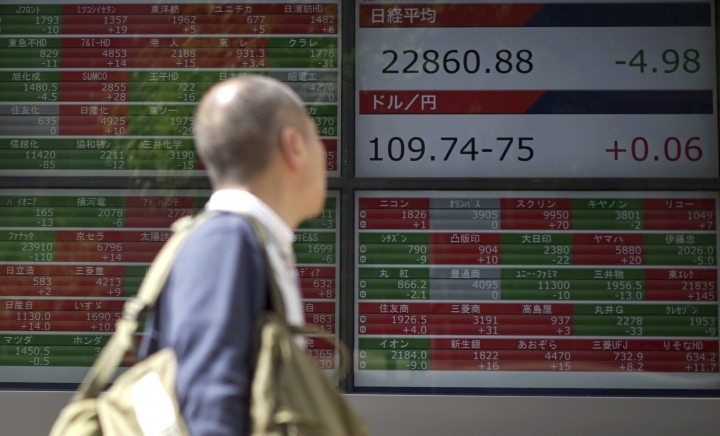 U.S. shares were set to drift slightly lower, with Dow futures down 0.4 percent and S&P 500 futures 0.3 percent lower. 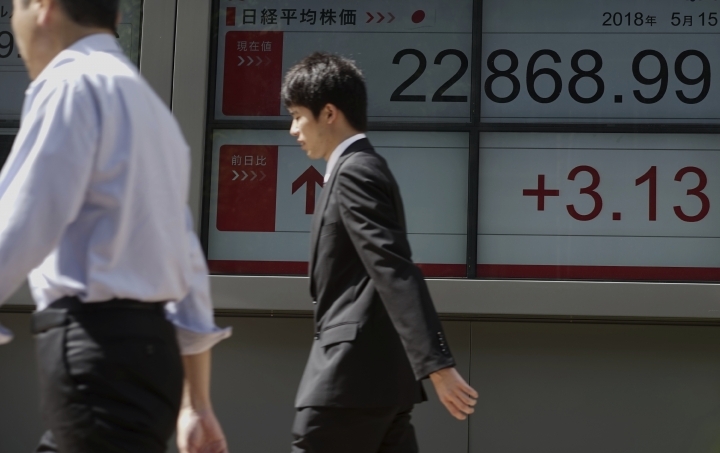 ASIA'S DAY: Japan's benchmark Nikkei 225 edged down 0.2 percent to 22,818.02. Australia's S&P/ASX 200 lost 0.6 percent to 6,097.80. 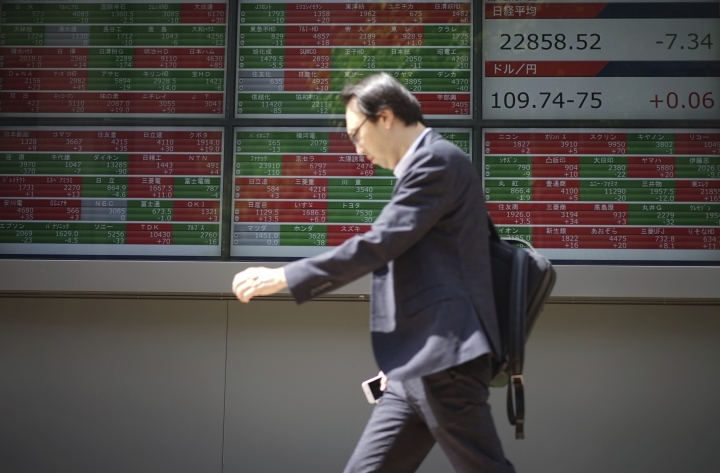 South Korea's Kospi slipped 0.7 percent to 2,458.54 while Hong Kong's Hang Seng dropped 1.2 percent to 31,152.03. The Shanghai Composite climbed 0.6 percent to 3,192.12. CHINA FACTOR: President Donald Trump tweeted Sunday that he was working with President Xi Jinping of China to put Chinese telecom ZTE "back into business, fast" after U.S. sanctions threatened ZTE's existence and 70,000 Chinese jobs. Trade talks were due to resume in Washington on Tuesday. Trump has proposed imposing tariffs on up to $150 billion in Chinese products. In retaliation, Beijing is threatening tariffs on $50 billion in U.S. products. THE QUOTE: "There's a number of data releases that will grab traders' attention today and could determine whether we see an early rebound in stock markets. The most notable of these is the retail sales data for April, which is expected to be relatively good for a second consecutive month following a few poor numbers that were a little worrying," Craig Erlam, a senior market analyst for Oanda, said in a commentary. ENERGY: Benchmark U.S. crude oil gained 59 cents to $71.55 a barrel in electronic trading on the New York Mercantile Exchange. It rose 26 cents to $70.96 a barrel in New York on Monday. Brent crude, used to price international oil, gained 77 cents to $79.00 a barrel in London. 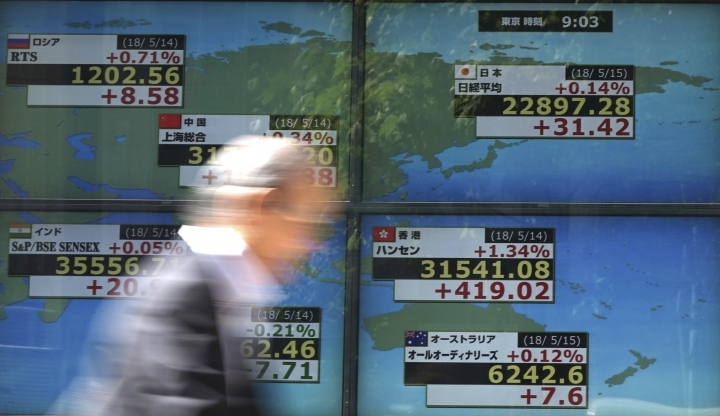 CURRENCIES: The dollar rose to 109.97 yen from 109.53 yen late Monday. The euro weakened to $1.1884 from $1.1974.